National Health Day is a public holiday in Kiribati. It was set aside to encourage people to live a healthy lifestyle. The holiday is celebrated in March or April, its date is appointed by the Ministry of Health and Medical Services. 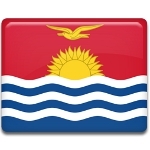 Kiribati is a small country in the Pacific. The main health problems in the country are related to the fact that Kiribati is located on islands. For example, one of the most common problems is food poisoning caused by consumption of semi-raw seafood. Limited amount of food storage facilities contributes to the problem, as well as bacterial contamination of drinking water. Cross-cultural exchange and modernization have brought new health issues, such as unhealthy diet, external infections, and heavy smoking. 54% of the country's population reported as smokers, which is the 3rd highest prevalence of smoking in the world. On the occasion of National Health Day, numerous sports competitions are organized by the Health Department, including football, softball, volleyball, basketball, boxing, and cycling. As healthy lifestyle includes not only being physically active, but also giving oneself time to relax, most islanders use the holiday as an opportunity to have some rest and enjoy their hobbies.